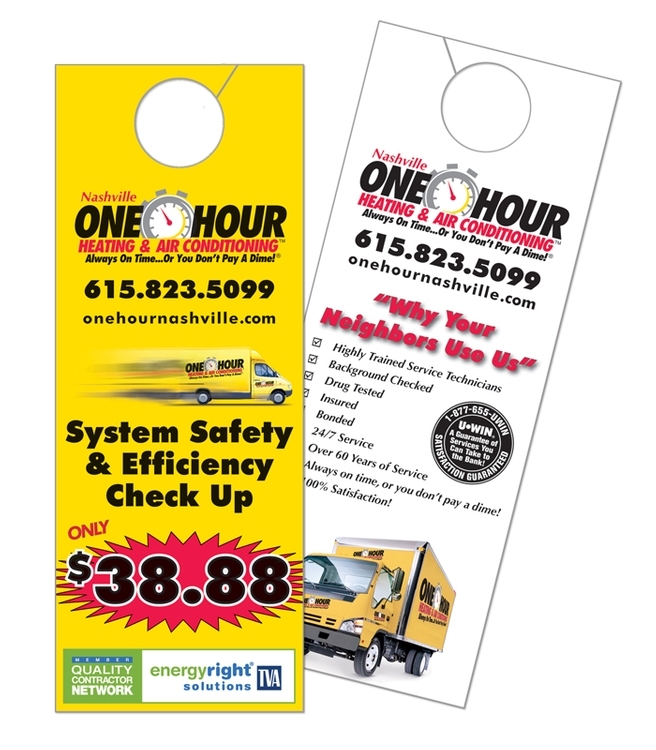 Digital Print door hanger measures 4 1/4" x 11 printed on 14pt C2S stock with Gloss UV on one side. No matter where the doors are, in an office building, a hotel, or the house down the street,d oor hangers are great a great advertising tool. This inexpensive and easy to distribute hanger is perfect for hotels, local business promotions, political campaigns, "sorry we missed you" cards, andmore. Submit art on template provided. Are available for an additional charge. Changes to proofs may incur additional charges. Normal production time is required after proof approval..